Brand new comfortable hostel in the very heart of Moscow. Maximum comfort for minimum price for keen travelers, happy families, or business trips. We have a wide variety of café, nightclubs, shopping centers, grocery stores, and fast food restaurants (including McDonald’s which is 70 m away) in our immediate vicinity. It is easy to get to any airport from our location: you can either use an aeroexpress , or we can offer you a transfer (for an additional fee). In our hostel you will find a cozy and friendly atmosphere. We have a large living room, where you can relax and chat with your friends while watching TV, or reading. You can cook your meals in our well-equipped kitchen, or (for an additional fee) we can do it for you. If you need a personal reading light – just ask for one at the reception desk, and we will gladly offer you one for the whole duration of your stay. 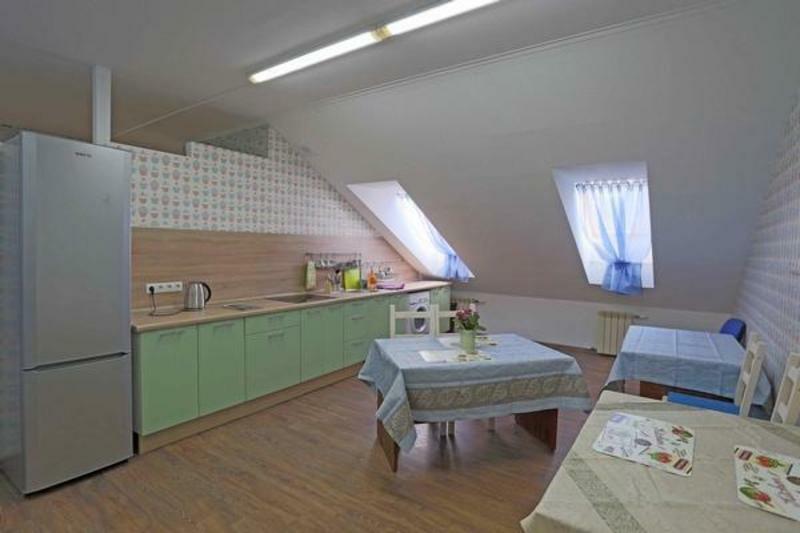 Prices include a sleeping accommodation at our hostel with an orthopedic matrass, bed sheets, 2 towels, Wi-Fi, common hair dryer, an iron station, satellite TV, and a map of Moscow. We have a laundry room (for an additional fee). You can also get an extra set of bed sheets (for an additional fee), as well as purchase a shower kit, a pair of slippers, or order a meal. We will be glad to call you a taxi, help you with plane or train tickets information, or organize a sightseeing tour of Moscow, or the countryside. Your comfort is our priority. Live it up! It is 1 km (1.6 mi) from the Red Square; 900 m (0.6 mi) to the Theater square (Bolshoi Theater); 300 m (0.2 mi) to Lubyanka square; and 200 m (0.1 mi) to Lubyanka and Kitay-gorod metro stations.